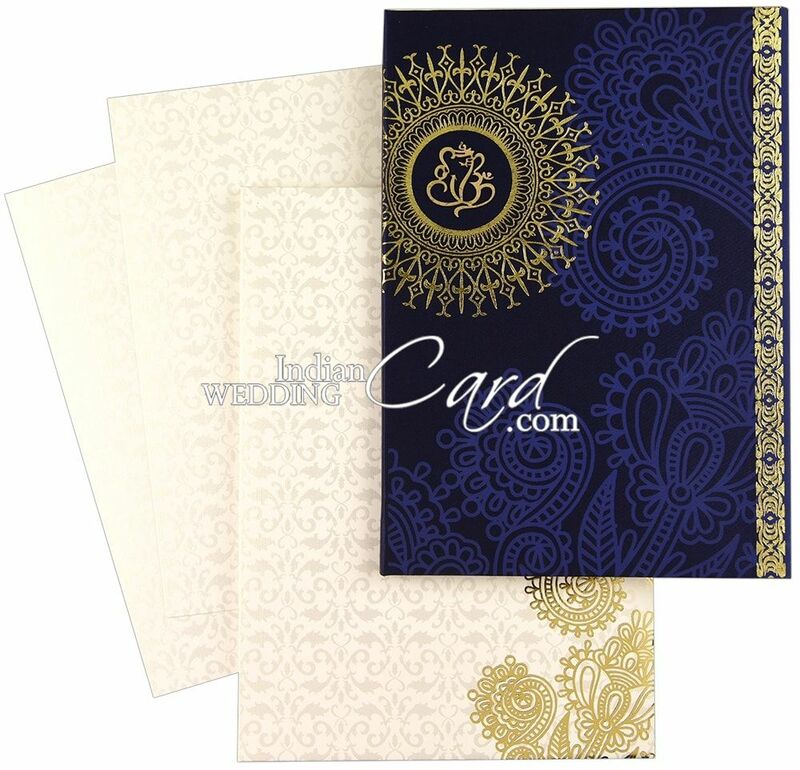 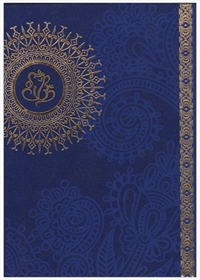 The front of card has beautiful Ganesh motif surrounded by shining foil motif and a foil border running from top to bottom on right corner with some large paisleys printed in self-color. The envelope too golden foil motif. 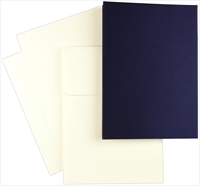 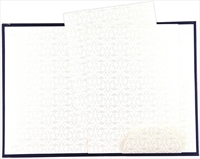 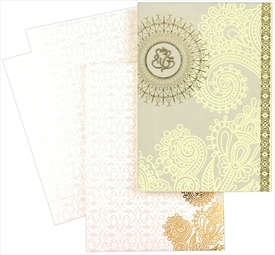 All off-white color paper is printed with Pearl color motif in background. 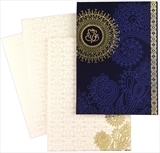 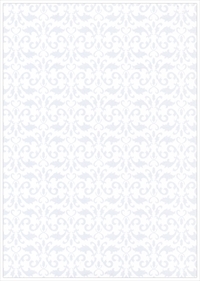 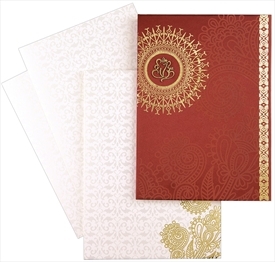 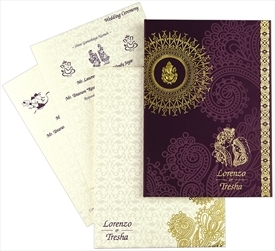 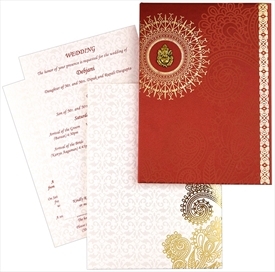 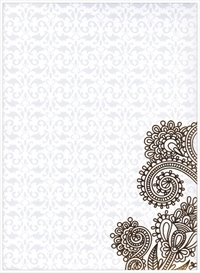 This beautifully designed card will set up a grand statement for your wedding invite.